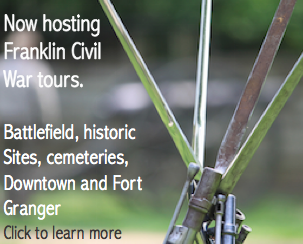 If you’ve not been to Franklin in the past couple of years and taken a tour of the battlefield landscape, properties, and Civil War sites, then you’re in for a real treat. If it’s been longer than five years you’ll hardly recognize Civil War Franklin. 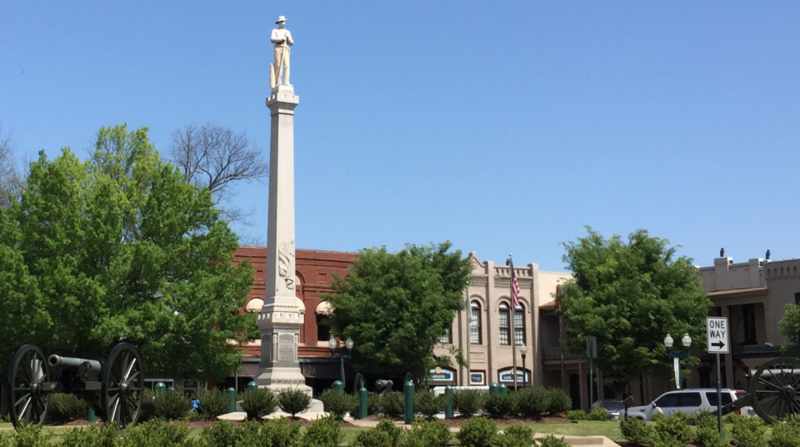 In the past 15 years I have spent thousands of hours around places like Carnton Plantation, McGavock Cemetery, Winstead Hill, the Carter farm grounds, Fort Granger, Cleburne Park, and historic downtown Franklin. For me, the Franklin Civil War story is not just about the ‘five bloody hours’ that took place on November 30, 1864. That might be ground zero but there are so many stories, events, and things to know about before and after November 30 that shook like tremors across the middle Tennessee landscape, impacting both soldier and civilian. What do I bring that is unique to the Franklin Civil War story? The perspective of a middle Tennessee resident for over 15 years. Someone who has spent thousands of hours researching the Franklin Civil War story, walking the ground, and helping visitors and guests to better understand what happened here over 150 years ago. Someone who stands on the shoulders of giants, meaning, I have benefitted from knowing and/or learning from the some of the best interpretive voices about the Franklin story and the Civil War in general, including the inimitable Ed Bearss, historian Eric Jacobson, legend Thomas Cartwright, and a host of great authors like Steven Woodworth, Stephen Hood, Thomas Flagel, Wiley Sword, and local historian Rick Warwick. Someone who continues to learn from thousands of people – perhaps like you – who have been following my blog for over ten years and the Franklin Facebook community for over seven years. Hundreds of you have shared your personal stories, pictures and information about your ancestors who fought at Franklin. Someone who has spent thousands of hours collecting, archiving, and sharing resources about the Franklin Civil War story. I will be sharing exclusive and rare seen or known resources like images, letters, and stories I have collected over the past two decades. Lastly, someone who appreciates not just the military history of the Franklin Civil War story, but also recognizes that the Civil War and antebellum years impacted our landscape, our community, civilians, women, slaves, freed blacks, our politics, culture, and religion.